Tucked in the rain shadow of the Olympic Mountains, Port Angeles is the epicenter for the Olympic Peninsula with visitors arriving from near and far to experience a magical vacation. As the gateway to the Olympic National Park—a top-of-the-bucket-list worthy wonder and one of few national parks in the Northwest—this smallish seaside-meets-mountain town has nuggets of history, hints of fame, bewitching beauty, and adventure waiting to be discovered. Port Angeles is the spot to start –and stay — during your Olympic Peninsula journey. Continue reading and visit Port Angeles WA! Port Angeles’ coastal climate makes for mild weather year-round. Temperatures range during the daytime from 40 degrees in the winter months to 70 degrees in the summer and fall. Even though Western Washington has a reputation for its abundance of rain, Port Angeles sits in the “banana belt” of Washington. Port Angeles receives, on average, 10 less inches per year of rain than Seattle and has 128 days of mostly sun compared with only 88 for Seattle. All of this sun — and 25 inches of rain — make for superb gardening and farming conditions all year-long in the region. As for snow, the Olympic Mountains tower over 7,000 feet above Port Angeles making winter activities like skiing, sledding and snowshoeing possible. Even more ideal, the snow stays in the higher elevations leaving the city snow-free so you can bike, hike, golf and beachcomb year-round. Ride an iconic Washington State Ferry if you can! Washington State has one of the largest ferry systems in the U.S. with routes to and from some of the most scenic spots around the Pacific Northwest and Western Canada. Check to see if your destination offers ferry reservations online to avoid long waits. Take the ferry from Victoria, B.C. : The Black Ball Ferry Line operates the Coho Ferry between Victoria, Canada and Port Angeles. Take the ferry to Whidbey Island from Port Townsend. This is a more direct route if you need to end up north of Everett. Watch for planned closures due to tide conditions. Driving a vehicle to get around the Peninsula is recommended in order to make the most of your stay. Driving is also the quickest way to get to Port Angeles from the Seattle area despite numerous ferry options. If you happen to arrive by ferry sans car, you can rent a car in downtown near the ferry terminal. Getting to Port Angeles, the Olympic National Park and Peninsula on Hwy 101 is a pleasant drive with most of the trip following the scenery of the Puget Sound. Dungeness Bus Line is an intercity bus line for Washington State DOT, operated by Olympic Bus Lines, providing service from Seattle-Tacoma International Airport to Kingston, Edmonds, Discovery Bay, Sequim and Port Angeles. It’s recommended to book ahead online to ensure you have a seat. Marymere Falls is one of most popular landmarks on the Olympic Peninsula and for good reason. 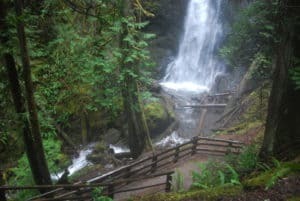 You start your hike near the shores of Lake Crescent from the Storm King Ranger Station, enter the moss-laden forest amongst the giant evergreens, cross above two creeks, and ascend up a set of nature stairs for the ultimate viewpoint of Marymere Falls. It is a short and easily accessible nature loop of only 1.8 miles. Immerse yourself in nature on this scenic trail and marvel at one of the most beautiful waterfalls on the Peninsula. Salt Creek Recreation Area County Park has national park aesthetics, with County Park amenities. 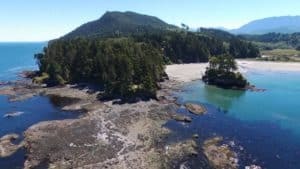 The 196-acre Park includes upland forests, rocky bluffs, rocky tide pools, sand beach, Salt Creek access, campsites, and panoramic views of the Strait of Juan de Fuca, Crescent Bay, and Vancouver Island, British Columbia. Salt Creek is a regional park that draws visitors from all areas of the northwest and is another one of Clallam County’s premier parks. Many colleges and schools from all over the United States visit the Park to study and observe the marine life. Madison Creek Falls is located within the Olympic National Park near the Elwha River, west of Port Angeles, Washington. The falls is about 50 feet high and has a light flow in a horsetail shape. Another higher falls is located above the first, but is completely inaccessible. The paved trail to the falls is very short (less than 100 meters) and is wheelchair accessible. Ediz Hook is a 3-mile-long sand spit that extends from northern shore of the Olympic Peninsula at Port Angeles in northcentral Clallam County, Washington. Much of the spit is accessible by car on the Ediz Hook Road with broad views of Port Angeles and the Olympic Mountains, notably the peaks of Mount Angeles and Klahhane Ridge. To the north marine traffic can be observed, and orca pods, harbor seals and other marine life can be spotted. Several long stretches of public beach facilitate beach combing and bird watching. Harbinger Winery has taken up residence in an ex-logging truck shop, which has now been converted into a winery. Upon entering the winery you will find yourself surround by barrels, rich woods and textiles, galvanized metal siding, and big rough wooden beams. The tasting room is nestled in the middle of the barrel room, which gives folks a taste of the behind-the-scenes activities that truly define the soul of Harbinger. When you visit our tasting room, you’ll find Wine, Chocolate, Cheese and Beer, all of which you can enjoy on the premises, and take home to enjoy later. Focusing on safe, fun, and educational sea kayak, mountain bike and stand up paddle boarding trips in and near Olympic National Park. Their goals are to share the beauty, history and magic of the Olympic Peninsula from the oceans, lakes and forests with kids and adults alike. Family owned and operated since the year 2000. For more information call +1 360-417-3015, or visit them on the web at Adventures Through Kayaking Outfitters. Island Adventures Whale Watching offers daily guaranteed whale watching tours departing out of the Port Angeles Boat Haven. Thousands of happy passengers agree – Port Angeles Whale Watching is the best on the Olympic Peninsula! For more information call +1 800-465-4604, or visit them on the web at Island Adventures Whale Watching. Guided fly fishing trips for beginners to advanced anglers. Fun for non-anglers to tag along for the float down one of the Olympic Peninsula’s beautiful rivers. Fly Fishing Classes Fly Tying Classes Rentals: Boats, Rods, Reels, Boots, Waders Brick and Mortar shop offers extensive fly tying materials from exotic feathers and furs to hooks and beads, rain gear, boats, waders, rods, reels, lines, flies, and more! For more information call +1 360-417-0937, or visit them on the web at Waters West. Sound Bikes & Kayaks is staffed by a team of outdoor enthusiasts striving to use their knowledge and expertise to provide the best gear, service, and guidance for your Olympic Adventure. For more information call +1 360-457-1240, or visit them on the web at Sound Bikes & Kayaks. Experience Olympic leads wildlife viewing, hiking, tidepooling, snowshoeing, bird watching, and sightseeing ecotours out of Port Angeles, Washington to Olympic National Park and the Olympic Peninsula. Tours are customized for all ages and abilities to best savor the Olympic biodiversity. for more information call +1 360-808-9237, or visit them on the web at Experience Olympic Tours. Classic Italian fare can be found at Bella Italia in downtown Port Angeles. This fine dining restaurant has been around since 1996 and features fresh local food seafood, produce and herbs from area farms, plus an award-winning wine list. And if you’re a Twilight fan, you can dine where Edward and Bella went on their first date. Bella Italia’s mushroom ravioli, the dish that Bella orders on her date, is one of their most popular dishes and they even have a frozen version sold in local grocery stores. For more information call +1 360-457-5442 , or visit them on the web at Bella Italia. Kokopelli Grill is one of Port Angeles’ finer dining restaurants in downtown with waterfront views from the upstairs bar area, hand crafted southwest cuisine, fresh local seafood and stiff drinks. They even have an extensive wine list with a full wine shop so you can buy a bottle to take back to your hotel room. For more information call +1 360-457-6040 , or visit them on the web at Kokopelli Grill. A local pizza joint in downtown Port Angeles serving up fresh slices and full-size 18″ pies with a lot of local flavor. Local ingredients, custom toppings, gluten-free pizza options, beer and vintage bottled sodas are served up daily. You can choose to dine outside or in to enjoy the tunes coming from the house vinyl record player. For more information call +360 504-2430, or visit them on the web at Strait Slice Pizza. Toga’s Soup House is just up the hill from downtown Port Angeles and is certainly worth the extra 10 minute walk or short drive. They offer more than soup, too. Everything in this tiny Victorian house is handmade by scratch by Toga himself (say hello to him in the kitchen!). Try one of their daily specials like a hearty Italian meatball open-face sandwich or one of their fresh salads or a bowl of their house-made soup. Enjoy your meal on the patio on a warm day and make sure to order a bottle of Bedford’s Root Beer, a Port Angeles made staple. For more information call +1 360-452-1952, or visit them on the web at Toga’s Soup House Deli & Gourmet. Frugal’s is a local fast-food burger drive-thru like no other. Frugal’s has several restaurants in Washington state and Montana, but Port Angeles was the first! Since 1988, they’ve perfected the drive-in burger experience: burgers cooked to order, a tasty seasoned option for your french fries, and real deal milkshakes made from seasonal ingredients (Huckleberry!). Check out their website for daily and monthly specials and be sure to taste for yourself why they’ve won so many best burger, best fries and best milkshake awards. For more information call +1 360-452-4320 , or visit them on the web at Frugal’s. Locally-sourced comfort food, beer and cocktails are available at Spruce, located in downtown Port Angeles, Washington. The Spruce restaurant features seasonal menus based on what’s fresh from around the Olympic Peninsula and the Pacific Northwest in a cool cabin-chic atmosphere. Some of their popular menu items include big fancy burgers (made with Oregon beef) and fried chicken with homemade biscuits. They have a yummy selection of small plates ranging from roasted cauliflower to sauerkraut balls, Brussel sprouts and even Scotch eggs. For more information call +1 360-504-2951, or visit them on the web at Spruce. Next Door Gastropub has tasty casual pub eats and drink in downtown. Their portions are large and they often feature fun and unique food specials like Black & Bleu Totchos (tater tots tossed with cajun spices, topped with ground beef, crumbled bacon, bleu cheese, bbq sauce and ale battered onion straws), which is similar to their Black & Bleu burger, a menu staple. They also have a full cocktail bar, epic Bloody Mary’s and a variety of regional and local craft beer with live music on most Sundays. For more information call tel:+1 360-504-2613, or visit them on the web at Next Door Gastropub. Camaraderie Cellars is located a few minutes from downtown Port Angeles and open on weekends from mid-May through October — or by appointment only. Their wines are made to be enjoyed with food and crafted with a minimalist approach by Camaraderie’s vintner, Don Corson. The winery has a lovely sculpture garden and outdoor fireplace for enjoying a local Washington “fine wine experience”. For more information call +1 360-417-3564, or visit them on the web at Camaraderie Cellars. 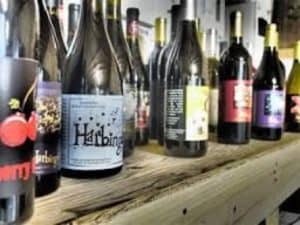 The Harbinger Winery is known for wine made from hand-picked grapes that are then crushed by hand by the Harbinger crew themselves within hours of harvest. The wine drinking scene here is delightfully laid back. If you’re not a wine fan, they also have Northwest craft beer on tap to please your palate. Admire the surf-inspired art by local artist Todd Fischer who also hosts regular “learn to paint like Todd” classes. For more information call +1 360-452-4262, or visit them on the web at Harbinger Winery. 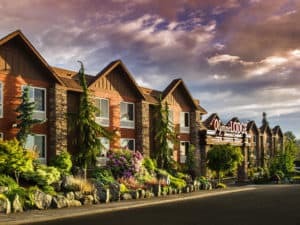 When it comes to Port Angeles hotels that feature tastefully decorated rooms, warm wood tones, and rustic furnishings, the Olympic Lodge has it all. This charming hotel accommodation and thoughtful room amenities such as complimentary Wi-Fi, Plush Simmons® pillow-top mattresses, and 42″ flat-screen HDTVs help guests feel right at home. Choose from any of their well-equipped rooms below and experience absolute comfort. For more information, pricing, or to reserve your room visit Olympic Lodge. 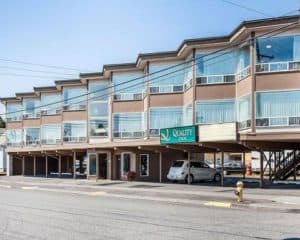 Located on the eastside of Port Angeles only 4-blocks from downtown, this 20-room clean and budget-friendly motel has amenities like a free continental breakfast, cable TV, free wifi, all non smoking rooms, and rooms that can sleep up to 5 guests. Pets are welcome with a pet fee. For more information, pricing, or to reserve your room visit Royal Victorian. The Port Angeles Inn has 25 rooms located on the hill just above downtown Port Angeles. 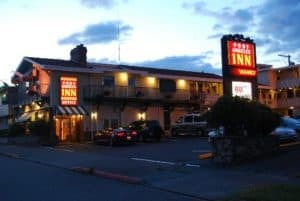 Close to downtown restaurants, shopping and the ferry, the Inn is a family-owned motel offering guests a complimentary continental breakfast, free wifi and several king suite rooms with balconies overlooking the Port Angeles Harbor. 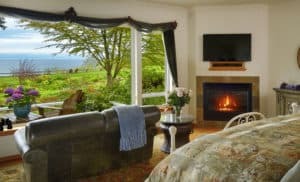 For more information, pricing, or to reserve your room visit Port Angeles Inn. Relax in luxurious king suites with magnificent oceanfront views, romantic fireplaces and indulgent two person Jacuzzi spas. All accommodations feature private entrances from the gardens or the fountain courtyard. Experience the natural beauty of the property by strolling through enchanting gardens, towering cedars and lush evergreen forest. Colette’s outdoor sanctuary, with its winding pathways and tranquil viewing benches, creates a beautiful and romantic setting. For more information, pricing, or to reserve your room, visit Colette’s Bed & Breakfast. Located less than 4 miles to the airport, the Quality Inn Uptown offers amenities like a business center, free full breakfast, smoke-free rooms, and pet friendly accommodations located on the first floor (call ahead to reserve). They even have a free soup reception during the winter months. For more information, pricing, or to reserve your room visit Quality Inn Uptown. Port Angeles is no doubt a place I am wanting to vacation to! I look forward to visiting nice places like the Marymere Falls, the Salt Creek Recreation Center where I can study and observe the marine life, and watching the whales and wide life which is something I’ve always wanted to do in port Angeles, I can’t wait to start my Port Angeles vacation! Great information Leahrae! Me and the wife have been looking to take a trip to the Oregon coast and not super familiar with the area. This post, along with a LOT of your reviews is very helpful for to start planning. Appreciate all the work you have done, thank you. I love coming to this site as it always reviews some wonderful places to visit and always amazes me. 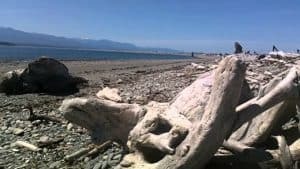 Port Angeles has just been added to my places to visit as the landscape is my ideal type to experience. We all go to the normal tourist destinations but you always bring destinations that one would not think about or know existed. I am glad you are enjoying visiting beach travel destinations and learning about some great beach travel locations I review 🙂 Thanks for the visit! I’ve been all over the United States, but never to your corner of the country. That’s something I’ve been meaning to rectify for some time, and now I have another reason. I honestly knew nothing about Port Angeles but your review almost makes me feel like I’ve been there. A very thorough, practical guide for newcomers. And the pictures are beautiful. Do you have a favorite hiking trail in that area? That’s one of the things my wife and I have always enjoyed. If nothing else, it feels good to move around after a long trip! Definitely do the Madison Falls Trail head. That is probably the best in my opinion. Yes, it does feel good to move around after a long trip! Glad you enjoyed learning about Port Angeles Washington. Thanks for the visit! You know I used to travel to Seattle a LOT for work. And the funny thing was, I very rarely got rained on. I know that Anchorage and Juneau Alaska get more rain from what I have experienced. The ferry is a fun economical treat! I agree! What an awesome description of Port Angeles WA. It seems like a great place to travel to! Although I have travelled, I haven’t gone to a beach destination like this, which I would love to do. What is your favourite part of this destination? I like the looks of the Salt Creek Recreation Area. Thanks for the great article! You know Kohl, I just love the beautiful scenery and walking along the beach. It’s a little cold for my blood, but it is definitely worth visiting. Glad you enjoyed my Visit Port Angeles WA review. Thank you so much Billy and I am glad you enjoyed and you have a new beach destination to travel to that will be much different than Australia, which is hard to top! Hopefully you can visit Port Angeles WA soon! Living in Washington one day is something I’m strongly considering, though I’d likely prefer the center of the state. 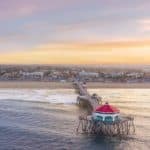 Reading this article gives me an excellent vacationing idea if I decided to venture over into the western part of Washington. The scenery is tremendous, which is what would attract me for any vacation. Judging from the pictures alone, traveling over to Port Angeles would be a trip for a lifetime. Yes, It would be a trip of a lifetime. I guess it depends on what you are looking for, but sounds like Washington is perfect for you 🙂 Please let me know if you need any additional information. I can see through this review that Port Angeles is a strategic area that posses an endearing nature. I hope someday I can go there to see the place and the people who love to continue in maintaining the beauty of that place. Off all the things you’ve mentioned here, I would like to know about the peace situation in that place. Is there any history of kidnappings, hostages or any activities of bad fate and reputation that scares people? Oh my goodness, you will find very little if any crime in Port Angeles. 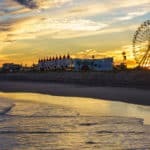 It is a REALLY safe beach side community and listed as one of the top ten to live in, in the U.S. So all around, it’s a gem! This area looks unbelievable! The Pacific Northwest is an AMAZING part of the world. Everything is so pure. These images you placed in the article make me want to go back! The waterfalls, blue skies, mountains… and a point you made here that many forget about: the wineries! Nicely written article! Bookmarking this for my nephew who is looking to make a trip to that area of the world! Thank you! You are very welcome Eric, and I am glad you enjoyed. Thanks for visiting beach travel destinations. I have come to find out that porte Angeles has a lot of attractions and beautiful things of nature. Marymene falls is beautiful on its own and like you stated it’s the most popular landfalls in Olympic peninsula. These beautiful things of nature is worth visiting during a vacation trip. 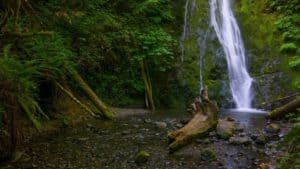 From the image, I admire the Madison Creck falls which is located within the Olympic National Park just as you narrated in your article and images. Thanks for also showing me the things I can do in Porte Angeles. They are numerous and I love them all. Wow, I’ve been to Seattle, but I haven’t gotten to Port Angeles. I usually go by Clipper Vacations to get to Seattle first. I think the next time I’m in Victoria, BC, I’ll definitely take a weekend to go to Port Angeles, especially to look around at the beautiful trails there! I’m curious, I happen to be a motorcycle rider. What would you say about the roads around there? What road trails would you recommend in the area? I love to rent a bike and just zip around the back roads there. Fantastic, you will love the area. As far as the best motorcycle routes, I looked that up and click here for this great list through Washington. If you have any further questions, please don’t hesitate to ask. For those that loves TV o travel and explore the beauty of nature, this is the place that be. Port Angeles WA serves as an attraction center for it’s numerous activities. 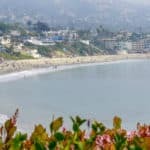 Compared to some other places, this beach is located around mountains and has favorable weather conditions, going about the beach, there is already made transportation for easy access. Check it out!! I agree! Thanks for stopping by and visiting beach travel destinations! We are recent transplants to the beach life from the Portland, Oregon area….we love it so much that even our vacations are at the coast. We’ve spent a lot of time in the Seattle area, and have (for years) been wanted to expand out to Port Angeles and surrounding areas. So glad we found your post! Will save us a ton of time in planning. It doesn’t sound like there a really bad time to go. How busy do things get during spring break? We have two kids, HS and college, and plan on heading up to Washington during their break. If it is too busy during this time, we might opt to wait until school is officially out. My wife and I enjoy learning about local history…any idea if there are some good museums in the area? BTW – The video got us totally hooked! Ok, I know a few people who actually took their families there for Spring Break and it was not too crowded. I think it would be a great time and you will all enjoy 🙂 Please let me know if you need any additional information. I would be glad to help! Port Angeles, another one to my lists. For someone to go on a vacation as this from where I am, it’ll take a whole lot of budgeting and savings and planning to do. First you consider flight tickets. It’s an awesome place to visit with your wife and kids. An awesome vacation location. Great I happen to agree 🙂 I hope you and your family can visit soon! You are very welcome Olympia! I am so glad you enjoyed and learned a bit about Port Angeles Washington. Thanks for stopping by! I agree Charles! I am glad you enjoyed and thank you for visiting beach travel destinations. Hi! I have been planning to go on vacations. And I always like to have an option right here in the States. And Port Angels is a great option. I want to go to the Caribbean. But, chances are that this year it may not be. So, I’ve started to explore other options and this one that has clicked. Thank you for listing the attractions. Neighbors have commented that Salt Creek Recreation Area is a must. And we can’t afford to not visit Marymere Falls! We’re Italians so we’ll stop at Bella Italia, that’s for sure! Oh Bella Italia is probably the best restaurant in Port Angeles, perfect choice! And your trip to Port Angeles will be substantially more economical than the Caribbean, so you will have extra money to have a wonderful time! Thanks for visit my Visit Port Angeles WA review. I really think that this article is very helpful and informative. I have never been to Port Angeles but I heard great stories about this place. I would like to visit it this summer with my family and I see that it is not so expensive for the average family. I will visit Olympic Lodge hotel site and see the benefits but having wifi they already buy me. Great Daniel, and you will find that Port Angeles is not going to be to hard on the budget. Please let me know if you need any additional information. Love the immediate calming effect of the main header photo… I already feel in a much better mood, than I did before I landed here. It is perfect for the website… a lovely sandy beach and blue blue sea. I have no idea where Port Angeles is, I would have liked a little map to show where it was but maybe people who are coming to the page know. I am not from the USA so whilst I like to think I know where Washington state is (WA?) I am not absolutely sure. However the description of the area, the sights to see, things to do, places to stay was comprehensive and very informative but not without the feeling and enthusiasm of the writer. The review followed a natural flow through and I wanted to keep on reading further to see where it was. When it came to the weather and rainfall, perhaps a little chart would be good? Give a visual as to when the best time to visit the area would be? Thought it was extremely well written and I will be looking through the other months to see if there are any places Im thinking of going to this year although, as a mom of a tennis player, we dont often get chance to go to beach holidays although we live by one in Sotogrande. Yes, you are correct that Port Angeles in in Washington state. And for beach travel, Port Angeles is a bit unique and has it’s own beach flair. Definitely worth investigating. Thanks for visiting beach travel destinations. This looks right up my alley! I’ve actually never been to Washington, but I’ve always wanted to go. This looks beautiful and whale watching is on my bucket list. I love that it’s such a temperate area but that it receives more sun and less rain than Seattle. How far is it from Seattle? I wonder if it would be feasible to plan a trip that spends some time in the city but a good amount of time enjoying the beautiful scenery of Port Angeles.